Medical mistakes can range from a very minor one that causes nothing more than brief discomfort to fatal errors that leave a family grieving. When a surgery goes wrong and the patient dies as a result, there is no comfort for the loves ones that are left behind. No settlement can bring back their beloved family member. Many victims of wrongful death choose to sue for various reasons. For some, it is about making sure that young children who are left behind will be taken care of. For others, it’s about ensuring that the same thing doesn’t happen to somebody else. Regardless of your reasons for filing the lawsuit, the best option is to have an experienced attorney help you navigate the process. There is nothing more challenging than putting a price tag on someone’s life. Their value as a trusted friend or beloved partner can never be truly determined. However, in the case of lawsuits, it is essential. The first step is determining who is eligible to bring the lawsuit. The next step is determining the cause of death, and then researching further to determine who is responsible and therefore liable for the death. Finally, the wronged party and their attorney must sit down and begin the heartbreaking work of determining the amount that will be requested. An autopsy can reveal the cause of death and should be performed right away. After the cause of death is verified, a good medical malpractice attorney can help you determine who is actually at fault. Often, people point to the doctor. But there are occasions where the blame actually lies squarely with the hospital. It is common for the doctor to blame the hospital for having faulty equipment or some other problem. Meanwhile, the facility will work to direct the blame to the surgeon. This is because the hospital has contracts with surgeons which limit their own liability. The exception would be emergency surgeries, in which case the hospital is typically the only part that will be held accountable. The surgeon and hospital will have lawyers and they will work hard to convince you that the other party is liable. The best way to truly navigate these murky waters and arrive at an answer is to let a medical malpractice attorney help you. In addition to looking at the surgery itself, an attorney will also review full medical records. It is common to find situations where the mistake has nothing to do with the surgery and everything do with an incorrect diagnosis or the failure to act in time. 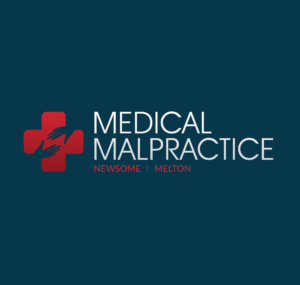 Medical malpractice attorneys know how to sift through the mountains of paperwork that precede any surgery as they search for the party that is truly responsible.